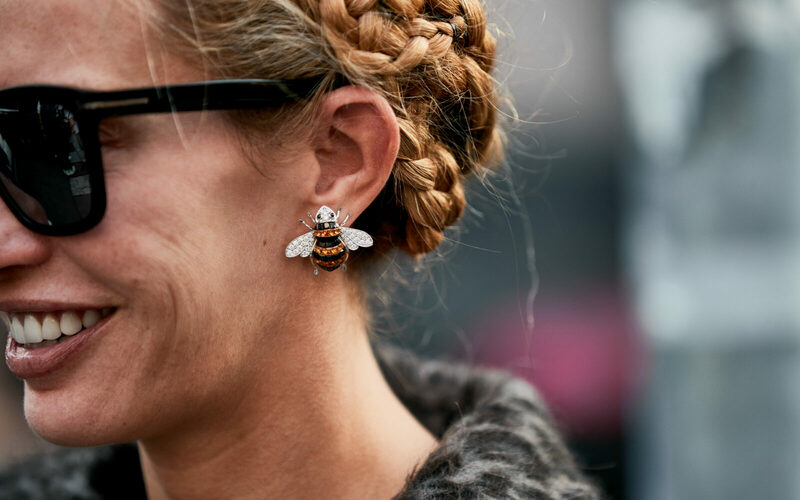 Animal inspired jewellery has been around for the last few years, but this season it appears bee bling is swarming the jewellery design landscape. Here are the flying insect pieces team MOJEH are most buzzed about. 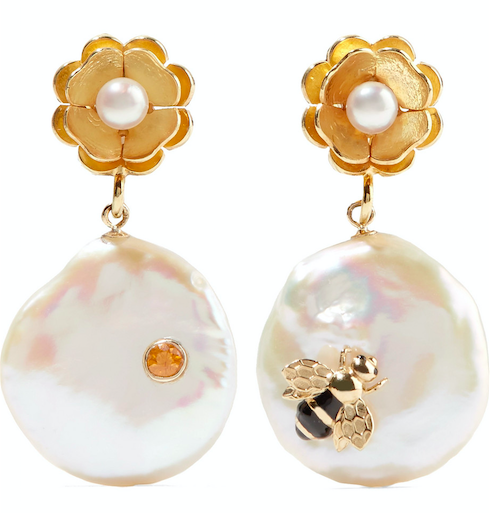 Of Rare Origin’s earrings are handcrafted from polished gold vermeil and have pretty flower studs. They’re strung with keshi pearls elegantly dotted with an enameled bee on one side and an orange sapphire on the other. The bee — a symbol first used by Gucci in the ’70s – is brought back to life as a key code of the House. 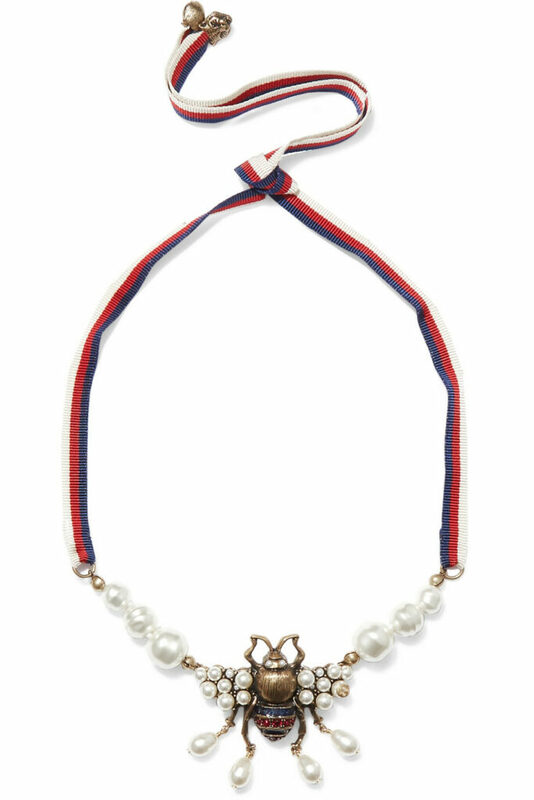 Embellished with coloured enamel, glass pearls and crystals, the animal is set in a pearl-effect necklace, completed by a blue and red Web stripe. 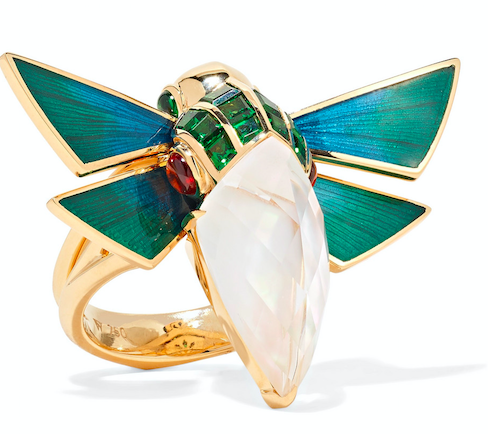 Stephen Webster’s Cuckoo Bee ring is cast from polished 18-karat gold, resembling the metamorphosis of a cuckoo bird and a dainty bee. It’s made using the designer’s signature Crystal Haze technique, where quartz is overlaid on iridescent mother-of-pearl. 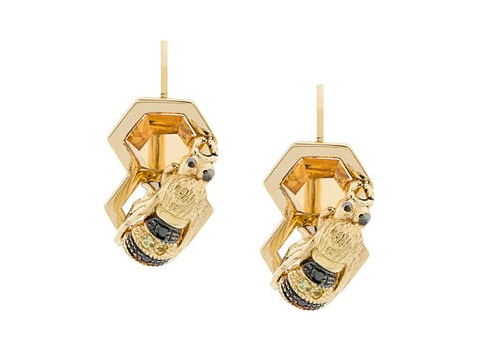 Expertly crafted in the designers Rome atelier, these 9-karat yellow gold To Bee or Not To Be earrings from Delfina Delettrez’s Garden of Delight collection feature a french hook closure and black diamonds and yellow sapphires with a citrines. Crafted from 18-karat gold-plated sterling silver, this honeycomb ring features an enamel striped bee sitting on its openwork surface. Five pairs of vibrant drop earrings that will instantly brighten up your winter wardrobe.